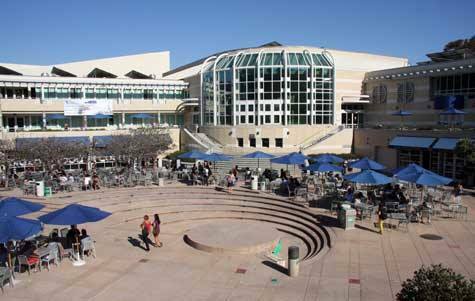 Two students plead guilty Monday to a felony charge of setting a fire in UCSD’s Price Center last December, according to the campus newspaper, The Guardian. After previously pleading not guilty to eight felony charges, Hoai Vi Holly Nguyen and Maya Land plead guilty to reckless endangerment for one of the two fires that were set. Nguyen and Land were arrested on suspicion of setting two fires in Price Center after a surveillance video placed them in the area of the fires. The students were ordered to undergo psychiatric evaluations and serve 20 days in county jail as part of the plea deal, followed by 18 months of felony probation and 30 days of public service. The university may also pursue restitution dues in the range of $10,000. Land and Nguyen will be officially sentenced in December.